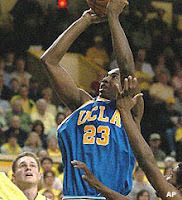 UCLA has had its moments since the Wizard retired, even winning a national championship, but they weren't really UCLA. You knew their coach would eventually crash and burn, and that their players would check out at key moments. Year after year, the Pac 10 was still Arizona's conference to lose. That era has ended - Ben Howland is now in charge. We knew that Howland was different when we saw what he did with Ryan Hollins - transforming him from a sullen loser into a shot-blocking dervish who played with fire in his eyes. He is exactly what the Bruins program needed, a tonic for the feel-good Lavin era where the inmates ran the asylum. UCLA frankly didn't deserve him, given how long they ignored Lavin's mismanagement, but what's past is past. The future for Ben's gutty little Bruins looks bright indeed, and if they fix their foul shooting it would not be a surprise to see them cutting down the nets in Atlanta next April. Good News: It starts with defense - UCLA plays the best D in the conference. Nobody gets out on shooters like the Bruins, who almost never allow an uncontested three. Their help D is very good, and they are very difficult to screen because of sound fundamentals and good communication. Offensively, they have the potential to be more explosive than last year's national runners-up because Josh Shipp is back in the starting lineup. Shipp, who last year's run with an injury, is averaging 14.4 ppg in the early going, second to Aaron Afflalo among Bruin starters. For his part, Afflalo (left) is as complete a two-guard as any in the country, though he's prone to shooting slumps. The "big question" with the Bruins has apparently been answered as Darren Collison has played very well as the replacement for Jordan Farmar. Luc Richard Mbah a Moute (below) is a monster on the glass (and the one guy we'd most love to get on Cal's roster for this season). The Bruins can also go pretty deep, with 3-point specialist Michael Roll, Alfred Aboya and others provided needed experience off the bench. Bad News: Lorenzo Mata starts at the five. The Bruins don't ask him to do much more than screen on offense, and he's a fine defender and rebounder who can pick up second-chance points. Still, if there's a weakness on this team, he's it. The Bruins can occasionally struggle on offense, but no team in the conference is quicker to shake off an in-game slump than UCL A. Howland's team is so disciplined that they eventually find the right shooter in the right spot to make a run-killing basket. Oh, there is one bit of bad news, and it's a doozy: UCLA is shooting 60% from the foul line - an absurd number for a team of this caliber. Left unchecked, their foul shooting will eventually cost them any number of close games and perhaps a burst blood vessel in Howland's ever-tightening neck veins. BTW, we would pay money to watch the foul shooting portion of UCLA's practices. New Faces: The two immediate contributors among UCLA's freshmen are guard Russell Westbrook and power forward James Keefe. Westbrook is averaging eight minutes in early going, and Keefe is a physical player who has 15 boards in 57 minutes of court time. He will be scary once he learns how to play Ben Howland defense. Nikola Dragovic is due to return to the lineup this month after serving a suspension related to his transfer from the Mega Irshana club in Belgrade - he has great range on his jumper and will see as much court time as his Euro-defense allows. Prediction: 1st place. We see a bigger gap between UCLA and the other top contenders ('Zona, UW, maybe Oregon) than many others. The other guys have too many questions, and are counting on young guns like Hawes and Budinger to step up huge in conference play. The Bruins, by contrast, are led by veterans who experienced last year's run to the national final. They're far from a perfect team, but if they improve from the foul line they should be in good shape to enter March Madness as a #1 seed. 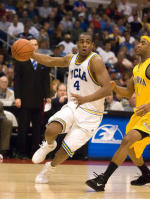 Great write-up on UCLA and particularly Howland. HE really has accomplished something incredible in rejuvenating UCLA after the Lavin years. It's hard to believe that he has only coached one game at UCLA in which UCLA lost by 20+ points in 3+ years, which includes his first year when UCLA finished with a losing record (IIRC.) That says a great deal about his ability to obtain maximum effort from his teams even when undermanned, and is even more remarkable, at least to me, given that UCLA teams under Lavin (even those with veritable NBA rosters) frequently got blown out. Clear proof, if any was needed, of the importance of good coaching. I wasn't aware of the 20+ point stat. Bottom line is I wouldn't trade Howland for any coach in America. The Bruins are in good shape for a long time to come. Ben Howland is the first UCLA coach since John Wooden to develop complete players. Jim Harrick recruited well and could teach offense but didn't know anything about teaching defense(Especially in the post). Walt Hazzard was a nightmare and Lavin is a piece of crap. The other coaches since Wooden(Bartow, Cunningham and Brown) weren't around long enough to recruit and develop their own teams. Based on how well Howland is done, I can't wait for Steve Lavin to die so I can spit on his grave. Spitting on his grave? Love the passion. 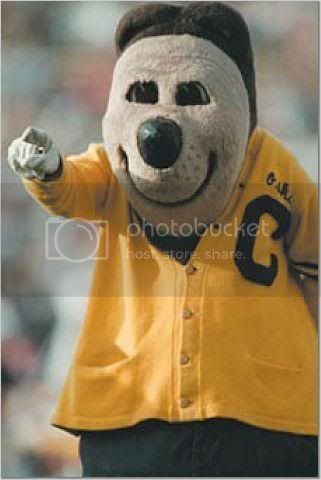 You guys almost make us forget this is the Pac 10.